Reza’s passion lies at the intersection of neuropsychiatry, technology, and education. He is most interested in exploring digital biomarkers in neuropsychiatry. He is also a founding partner of Stanford Brainstorm, the first behavioral health innovation, and entrepreneurship laboratory. 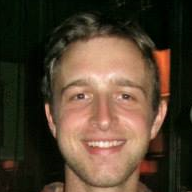 He holds a BS in electrical and computer engineering from Rensselaer Polytechnic Institute, a MSE in biomedical and electrical engineering from Johns Hopkins University, and a MD from University of Massachusetts Medical School, and is now completing and transitioning from University of Washington's psychiatry residency to their neurology movement disorders fellowship to focus on neurodegenerative disease. Clinically, he practices neuropsychiatry and movement disorders neurology across several academic hospitals including University of Washington's Memory and Brain Wellness Center and the Veteran Health Administration's Geriatric Research Education and Clinical Center (GRECC). “There must be a better way to solve this problem.” My clinical research has been a constant search for new methods, tools, and technologies to solve problems. Trained in clinical psychology, most of my career has been spent with colleagues in biostatistics, engineering, and computer science – learning what they know and how we might collaborate in tackling the many challenges of mental illness, addiction, and their treatment. At present, I have a strong focus on machine learning and NLP applied to psychotherapy, where we are developing automated methods for evaluating the quality of therapy. Dong Si is currently an assistant professor at University of Washington Bothell. He received his M.S. and Ph.D. in Computer Science from Old Dominion University Virginia, and his B.S. in Electronic Information Science from Nanjing University China. Over the years, Dong’s research has included visual data analytics, feature detection and pattern recognition, machine learning and data mining, geometric modeling, and computational structural bioinformatics.